I have been blessed by a special blogger. 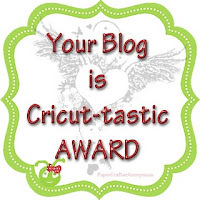 She has decided to award me with some blog awards. I am so excited to share them with all of you. Thank you Julieta. 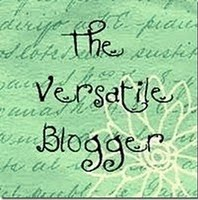 Stop by to see her wonderful blog at 4 Goofballs Ahh, life, and stuff. I was pleasantly surprised to see all these awards. What a way to brighten a day. Now to figure out what I have to do now that I have all these...LOL. When I finally can figure it out will do what I'm supposed to. Thank you again Julieta!!!! Thank you!! Congrats Leah on all of those awards!!!! Your mug is beautiful!!!! Love that shade of blueish/purle that you chose... it reminds me of the Iris that i quilled. Thanks for sharing your talent with us. Keep on craftin with your Mama, Leah she is a very talented lady. "So I can see where you get your talent from"
Keep in touch over the summer vacation.